Imagine what life would be like to wake up every day in one of the best places to live in America. You don’t have to imagine when you purchase a home in the Estates at Parkside. This master-planned community is located in Dr. Phillips, the only Florida city to make Money Magazine’s 2015 list of “Best Places to Live,” thanks to its proximity to the area theme parks, high job growth rate and plentiful recreation opportunities. Parkside residents also enjoy the convenience of living near Restaurant Row, and the Bay Hill Club & Lodge, which hosts the Arnold Palmer Invitational during the PGA Tour. View the latest Estates at Parkside homes for sale available below, or take a look at the stunning floor plans available in this up and coming neighborhood. Parkside is located off Apopka Vineland Road and only a short distance from I-4, making it easy to enjoy weekend trips to Tampa or Daytona Beach. Walking and jogging trails make it easy for residents to stay in shape, while the nearby Dr. P. Phillips Community Park provides a splash pad to help children cool down in the summer. Parkside borders Universal Orlando® and is close enough to Walt Disney World® so residents can see the Magic Kingdom’s nightly fireworks show. The neighborhood is also close to great shopping at Dr. Phillips Marketplace, and dining at Restaurant Row, which features dining options for every appetite, including Seasons 52 and Eddie V’s Prime Seafood. Estates at Parkside features spacious Mediterranean style single family homes, with either barrel or flat tile roofs, Old World style stucco and brick paver drives and walks. Lot sizes average 70 feet wide and 120 feet deep with 10 feet in between homes. Buyers can choose from among 10 different floor plans with 3-8 bedroom homes, featuring approximately 2,550 – 5,217 square feet of living space. The McKinley one-story open floor plan features 3 bedrooms, 2-1/2 baths and a 3 car garage, with 2,550 square feet of living space. Enjoy entertaining indoors or out on the covered lanai. Includes a den for relaxing, as well as an optional game room, and media room. 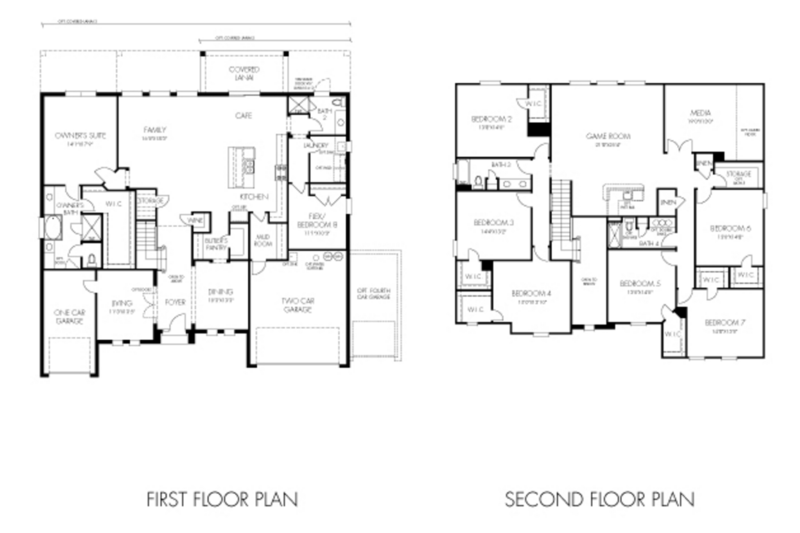 The Palermo II open plan offers 4 bedrooms, 3 baths, 3 car garage, with 3,017 square feet of living space. Home can be customized with optional stairs to a spacious bonus room and fifth bedroom with full bath. 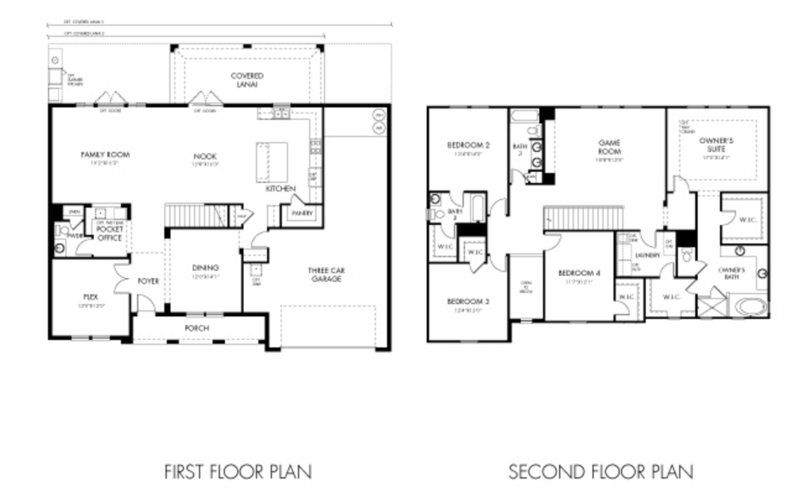 The Tara is a popular floor plan for those families needing more space. The two-story, 3,615 sq. ft. floor plan features 4 bedrooms with upstairs master, 3-1/2 bath, and a 3 car garage. The kitchen features abundant cabinet and counter space, and overlooks a large family room. Bedrooms include walk-in closets for storage, and there’s plenty of flex space to suit your family’s needs. 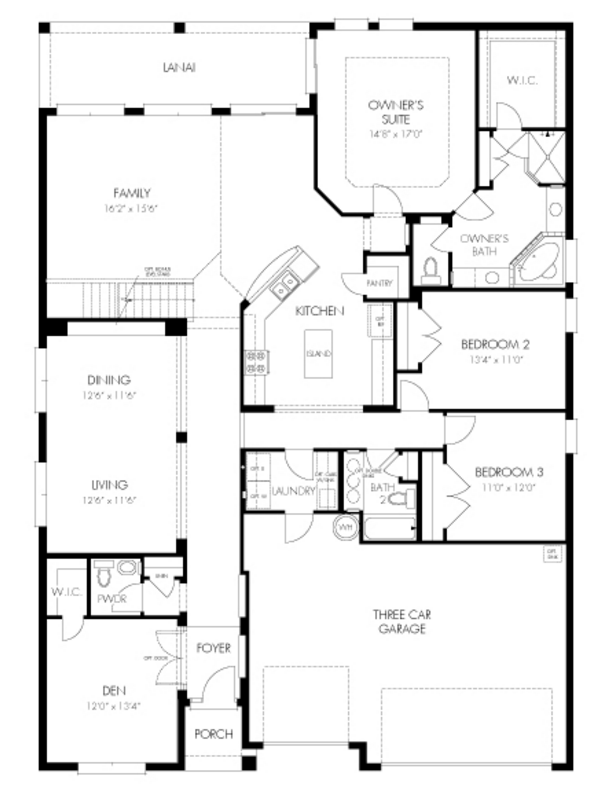 The two-story Jasmine floor plan features four bedrooms with an upstairs master, 3-1/2 baths and 3,666 square feet of living space. Enjoy plenty of storage with separate 2-car and single car garages. First floor flex space can be used for a study or guest room. 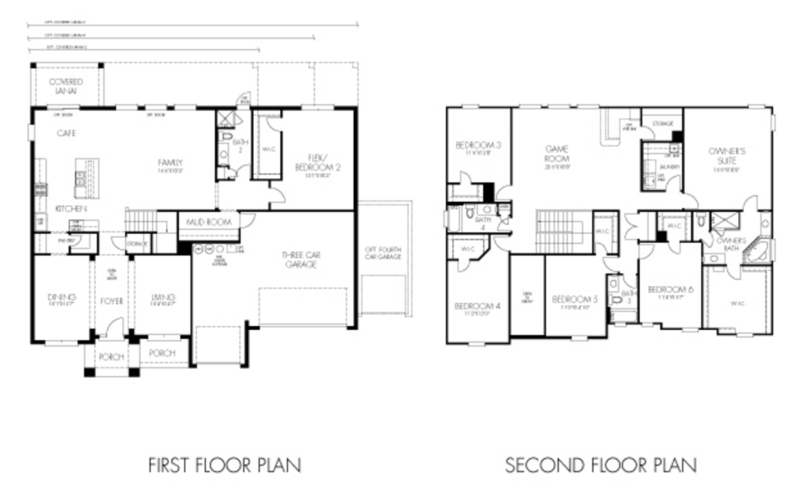 The Camellia two-story plan offers 5 bedrooms, 4 bathrooms and a 2 car garage. Master bedroom is located upstairs for privacy, while the first-floor bedroom is ideal for guests or visiting family members. 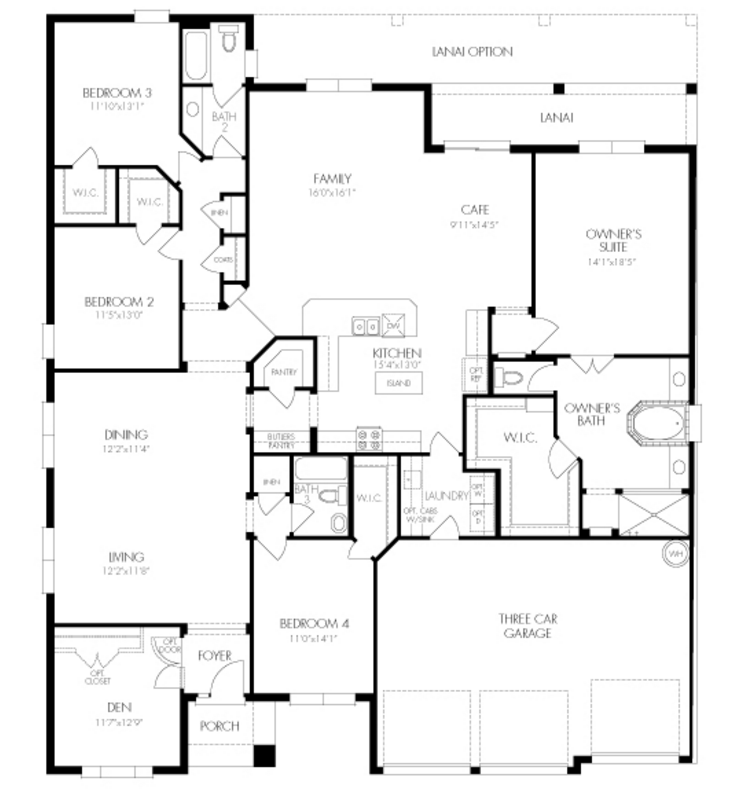 The spacious Kerrville II plan is perfect for those who love to entertain. This two-story, 6 bedroom, 4 bath home features formal living and dining areas, as well as a large open kitchen and upstairs game room. A centralized chef-inspired kitchen is a highlight of the Wimberley II plan. The home features 6 bedrooms, 4 baths, and a 4 car garage. 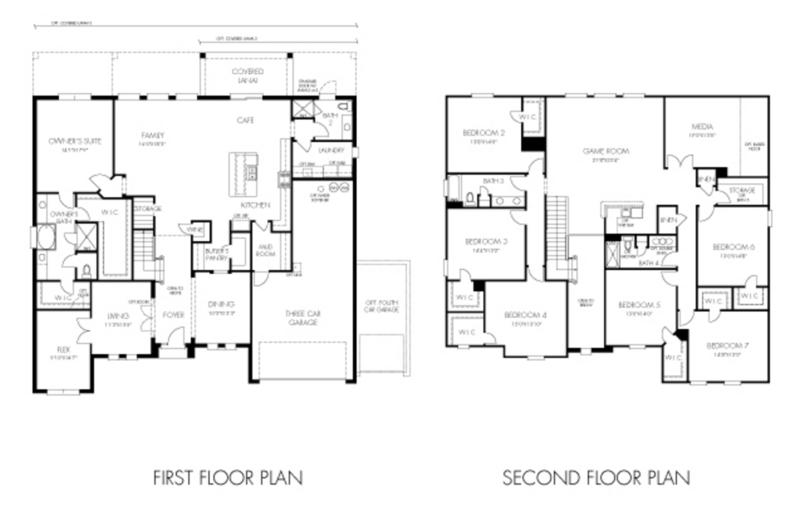 Options include a second master suite, media room and second laundry room. 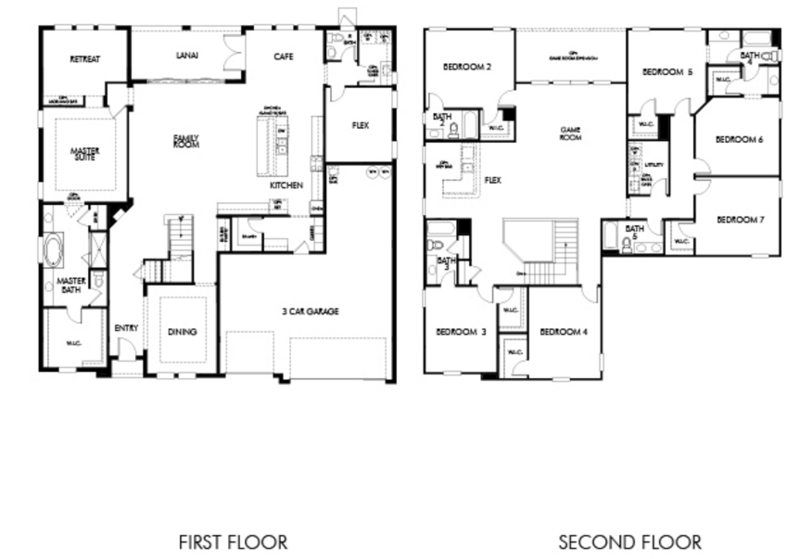 The Del Rio II floor plan allows you to live the luxury lifestyle with 8 bedrooms, including a downstairs master, 4 bathrooms, and a 3 car garage, with 5,169 sq. ft. of living space. The home includes an over-sized game room, media room and private rear patio. Options include a second master suite, wine closet and sitting room for the owner’s suite. A similar model is the Del Rio III which also features 8 bedrooms, and 4 bathrooms. 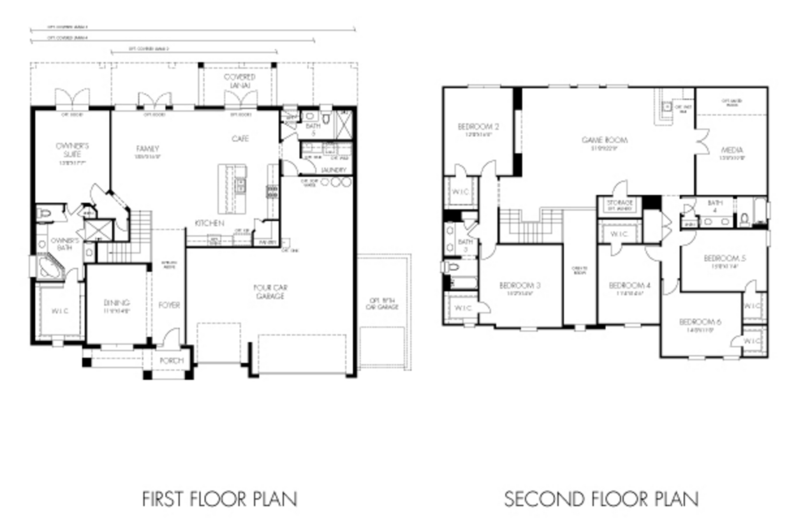 The first floor master retreat includes large walk-in closets and spa-like master bath. 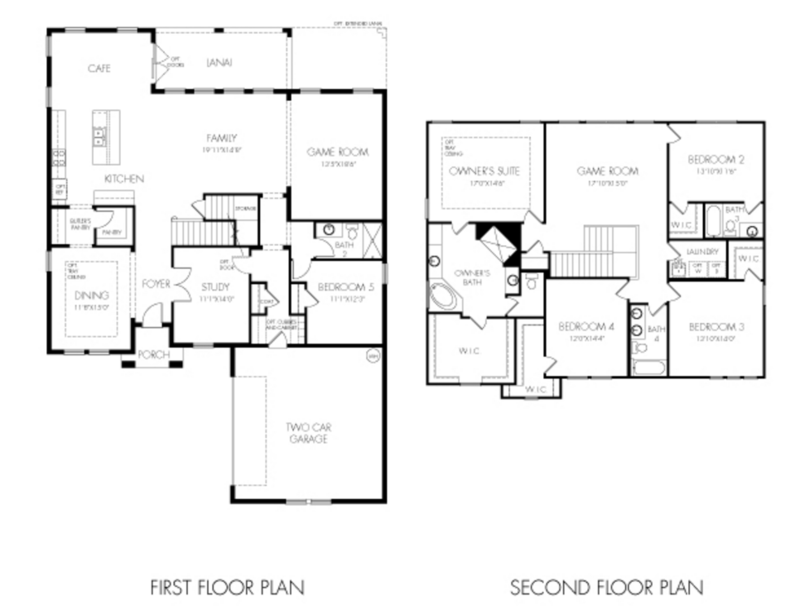 Finally, the Granada 2-story floor plan features 7 bedrooms, 5-1/2 baths, and a 4 car garage. A formal dining room leads into the family room, with a spacious eat-in kitchen and island sink. With such an assortment of floor plans, we are confident that you can find the home of your dreams at Estates at Parkside. For more detailed information about the homes for sale at Estates at Parkside, call a Team Donovan agent today at 407-705-2616 or contact us online. We are happy to share our knowledge of the Orlando real estate market with you at no cost, and without any obligation.